Scared of cooking with a pressure cooker? Perhaps you have a memory of grandma's pressure cooker spewing spaghetti sauce all over the ceiling. Or maybe you're just intimidated by the idea of the enclosed pot containing so much pressure without exploding. But really, there is absolutely nothing to worry about. Today's pressure cookers are built with multiple safety features that ensure that cooks won't have the same explosion issues as in pressure cooker lore of yesterday. For instance, lids have locks that must be activated before the pressure builds, and these locks won't open until the pressure inside has been released. Most cookers also have valves to release excess pressure. However, there still are a number of things will make cooking with a pressure cooker safer and more successful. Follow these tips for perfect results with your pressure cooker – without having to scrape spaghetti sauce off your ceiling. Always check the rubber gasket (the ring of rubber that lines the lid of the cooker) to make sure it isn't dried out or cracked. Some manufacturers recommend replacing the gasket annually, depending on how often you use your cooker. You might want to order an extra to keep on hand in case you discover yours is ripped just as you're starting a recipe. Also check to make sure that there is no dried food on the rim of the pot, which could break the seal. For most foods, don't fill the pressure cooker more than two-thirds full, to avoid the possibility of food blocking the vents. Foods like beans and grains, which tend to swell as they cook, should only fill about half of the cooker. The frothing can block the steam valves and the pressure release vents. Foods that froth include pasta, rhubarb, split peas, oatmeal, applesauce, and cranberries. If you do want to cook these foods, follow a trusted recipe and make sure that the quantity in the pot is well below the recommended maximum fill line. Yes, the "Colonel" did it, but you shouldn't. Using more than a tiny amount of oil in your pressure cooker can be very dangerous and could melt the gasket and other parts. 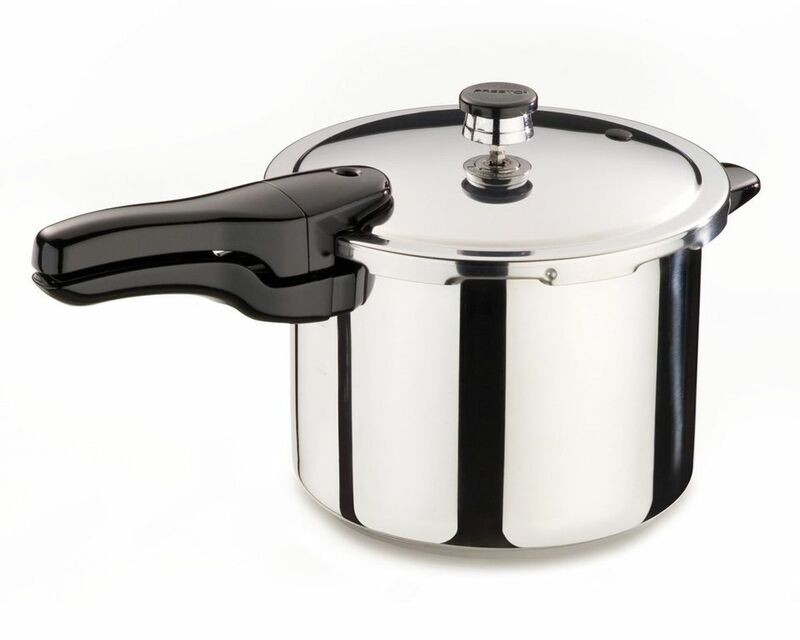 You can release pressure in three ways: by just removing the cooker from the heat and letting it sit until the pressure goes down (natural release), running cold water over the lid of the closed pan (cold water release), or using the pot's steam release valve to expel the steam (quick release). Make sure to protect your hands with pot holders as you're handing the cooker, and if you're using the quick release method, be sure that your face, hands, and body are away from the steam vent. When you open the cooker after the steam has been released, hot steam will still escape from the pan, so as you open the pan, tip the lid away from you and hold it over the pan so that the hot condensation doesn't drip onto you. These tips will help you prepare meals in your pressure cooker with safety and success.